The book behind the YouTube sensation of a granny reading thisstory to her grandchild, viewed over 3 million times. 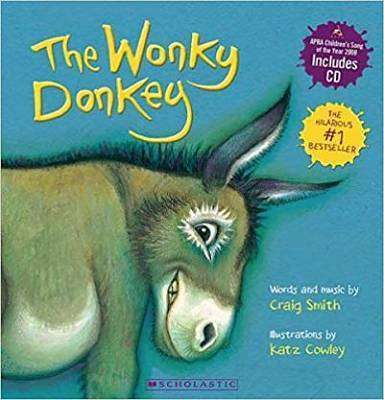 THE WONKEY DONKEY has sold over one million copies worldwide, and this edition of the award-winning picture book comes with a CD comprising the song and a Wonky Donkey 'musical statues' dance track. Who ever heard of a spunky hanky-panky cranky stinky-dinky lanky honky-tonky winky wonky donkey? This hilarious picture book and CD will have children - and adults - in fits of laughter!